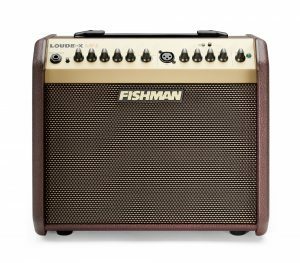 choose Fishman acoustic amplifiers and PA systems than any other. The Loudbox Artist is designed to faithfully reproduce the sound of acoustic instruments and a diverse assortment of vocal or recorded accompaniments. the addition of Bluetooth® wireless connectivity! Our lightest and most portable amp, the Loudbox Mini packs 60 watts of clean acoustic power, multi-effects and more into a small, portable package. 120 watts of ultra-clean, bi-amplified acoustic power and enhanced features packed into an incredibly lightweight and portable package.